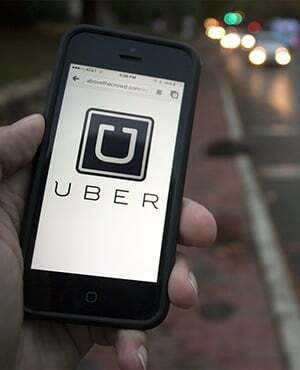 Uber faces an ongoing gender-discrimination probe by the US Equal Employment Opportunity Commission, said a person familiar with the matter, as new questions arise about the company’s corporate culture. The inquiry, which began in August, focuses on allegations of pay disparities and other discriminatory conduct toward women, said the person, who asked not to be identified because the matter is private. It’s one of at least a half-dozen federal investigations into the ride-hailing company that have emerged in the last year or so. Uber is trying to rebuild its reputation after a tumultuous year in which allegations of discrimination and questionable business practices led to the firing of about 20 employees and the ouster of co-founder Travis Kalanick as chief executive officer. Dara Khosrowshahi, who took over for Kalanick in September, has said he’s remaking Uber to be a more ethical company. But Khosrowshahi’s efforts were dealt two high-profile setbacks in the last week. On Tuesday, Uber said Liane Hornsey, the human resources chief, was departing. The staff change came after an accusation that she didn’t take allegations of racial discrimination seriously. On Friday, the New York Times reported that Barney Harford, the chief operating officer appointed by Khosrowshahi, had apologised to employees after complaints that he had made insensitive racial remarks during a conference call. Matt Kallman, a spokesperson for Uber, wrote in an emailed statement: “We are continually improving as a company and have proactively made a lot of changes in the last 18 months.” He said the San Francisco-based company is implementing a new salary and equity structure, overhauling its performance review process and rolling out diversity and leadership trainings to much of its 18 000 employees globally. The discrimination probe was reported earlier on Monday by the Wall Street Journal. The EEOC declined to comment on the probe, citing confidentiality rules. "Information becomes public only when the EEOC files a lawsuit, which is typically a last resort," said spokeswoman Kimberly Smith-Brown. The agency has closely scrutinised Silicon Valley in recent years. In 2016, it probed Google over age discrimination and is looking into similar claims at Intel.